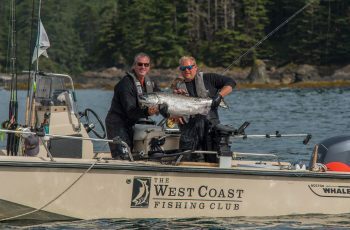 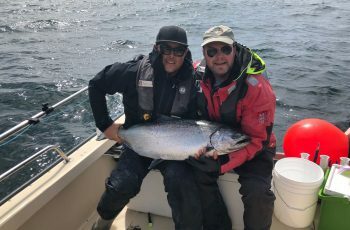 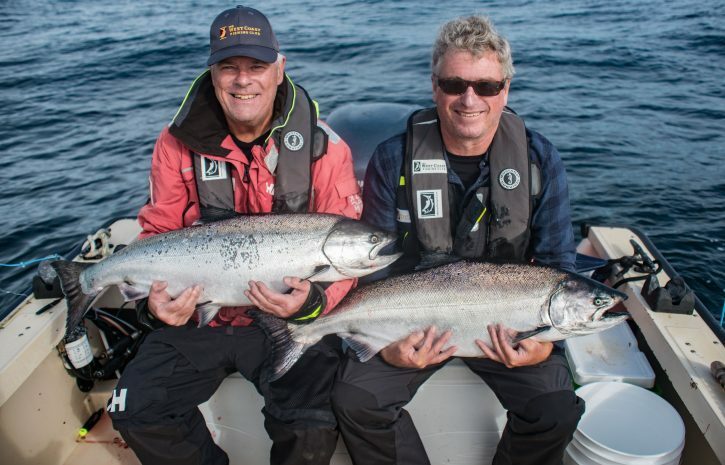 Friday fishing summary: Fishing for Chinook has been challenging of late with a bite usually earlier in the day and then slowing down in the afternoon. 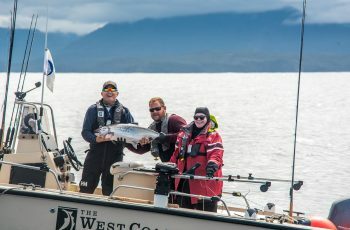 Most anglers are switching to the halibut program after lunch which has been very successful and today’s biggest fish goes to Clay Davis and his 140 lb Halibut, pictured here with guide Baboo. 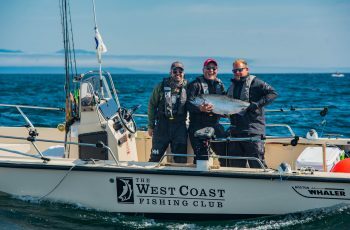 Steven Davies also brought home a monster 105 lb halibut, not a bad way to start the trip. 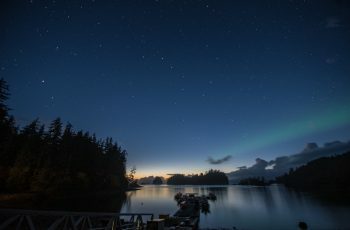 Good night from the Outpost.